Dr. Sylvester is a board certified ophthalmologist who specializes in pediatric ophthalmology. 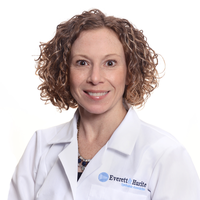 She was trained at the Philadelphia College of Osteopathic Medicine as well as the Children's National Medical Center in Washington D.C. She has a particular interest in neonatal eye care including retinopathy of prematurity. Her other areas of expertise include nasolacrimal duct disorders, strabismus (misaligned eyes), genetic disorders, and medical retinal disorders. She has spent the last decade working on educating residents, fellows and other health care professionals. Dr Sylvester has presented talks nationally and internationally since 2005. She is also a lifelong resident of the area.